Mayor Chris Cerino called the meeting to order at 7:30 p.m. In attendance were Councilmembers David Foster, Linda C. Kuiper, Rev. Ellsworth Tolliver and Mauritz Stetson, W. S. Ingersoll (Town Manager), Jennifer Mulligan (Town Clerk) and guests. Mayor Cerino asked if there were any additions or corrections to the minutes of the Public Hearing and Mayor and Council Meeting of March 4, 2019. Mr. Stetson moved to approve the minutes of the Public Hearing and Mayor and Council meeting of March 4, 2019 as submitted, was seconded by Rev. Tolliver and carried unanimously. Mayor Cerino stated that total operating funds on hand for unrestricted use was $1,229,364.16. Restricted funds for the Marina were set aside in the amount of $1,802.10. Mayor Cerino asked for a motion to approve the payment of the bills. Mr. Stetson moved to approve payment of the bills as submitted, was seconded by Rev. Tolliver and carried unanimously. Mayor Cerino called on Chief Baker for the police report. Chief Baker read the police report for the month of February 2019 into the record. Chief Baker stated that the department was two (2) officers short through February. Chief Baker stated that the statistics for the red speed camera were very low for the month of February with only 113 tickets issued. Mayor Cerino stated that February was an unusually quiet month. Rev. Tolliver asked if Chestertown ever received reports or had any incidents with human trafficking. Chief Baker stated that he has not prosecuted any human trafficking cases and was not aware that it was problematic in this area, although occasionally he does receive information from other jurisdictions regarding the matter. Mayor Cerino called on Ms. Wanda Gorman, Artisans Market Manager, for her report. Ms. Gorman stated that there was a meeting for all artisan vendors on March 16th and there will be twenty-four (24) vendors in the market this season. Ms. Gorman requested that the first two (2) parking spaces on High Street at Cross Street heading north be marked off with cones on Saturday mornings for the duration of the Market so the artisans have a place to load and unload their wares. She said that if people park in those spots while the market is taking place they do not move when it is time to load after the Market. Chief Baker suggested using signs to begin with, and Ms. Gorman agreed, noting that the Artisans Market will begin on March 30th. The Council agreed to the request. Ms. Gorman stated that she was moving to Florida in the fall and her daughter Sarah Sezawich is going to co-chair the market this year and manage it in following years. Ms. Gorman stated that Ms. Sezawich has helped her in the past and the vendors in attendance at the annual meeting were receptive to the idea of Ms. Sezawich taking over management of the market. Ms. Kuiper stated that the “No Parking” bags could be removed on Park Row on the side of the street with the buildings as the vendors do not use those parking spaces. The signs needed to be left in place along the Fountain Park side of Park Row. Mr. John Slocum was present to discuss the “2019 Cars on High” permit which is scheduled to run the third Thursday of each month from April 18th through October 17th. He said that the event has been growing each month since its inception 3-years ago and the permit request was essentially the same as prior years. Mr. Slocum stated that the Chief of Police does a great job of closing the street while Cars on High is taking place, but he asked if it was possible to reroute the trash trucks on Thursdays. Ms. Kuiper moved to approve the 3rd Annual Cars on High from April 18th through October 17th, was seconded by Mr. Foster and carried unanimously. Mr. Slocum stated that this year, in addition to Cars on High, he would like to have a car show. He said that 50% repeat cars and 50% new cars attend each Thursday event during the season. Mr. Slocum stated that he worked with Ms. MacIntosh for an open date and was proposing, Saturday, September 14th from 2 p.m. to either 6 or 7 p.m. There would be judged categories from 5 p.m. through 8 p.m., noting that he would like for the Council to do the judging. Mr. Slocum stated that one request was permission to put 5–6 invited cars on the lawn in the Fountain Park for the duration of the show. He also requested that the 200 and 300 block of High Street be closed for the event. Mr. Foster asked where the Cars on High participants are coming from each month. Mr. Slocum stated that according to their email database, most of the participants come anywhere from Washington, D.C. to Wilmington, Delaware. Mr. Ingersoll stated that Mr. Slocum showed him some links to other event locations where cars were displayed on manicured lawns and said that he thought that this could be done without much harm to the Fountain Park. Mr. Slocum stated that many car shows take place on golf courses and the lawns were not damaged. He said that proceeds of the event would likely go to Main Street or the Chestertown Garden Club. Mr. Slocum also volunteered to put grass seed down in the Fountain Park. Mr. Slocum stated that only the most special cars would be showcased in the Fountain Park. The Council agreed in concept to the Car Show but wanted to see the photos and information on other locations where cars were permitted in parks before making a final motion. Mr. Ingersoll stated that Ms. Elaine Grant, Director of Student Activities at Washington College, has a group planning to clean up the Rail-Trail in the area behind and around Royal Farms and Joey’s Automotive on Sunday, April 7th from noon to 3 p.m. Ms. Grant requested bags and gloves from the Town, which Mr. Ingersoll stated was given to groups who clean up the trail, and they leave the bags of trash in strategic locations for pick-up by the street crew on Monday. 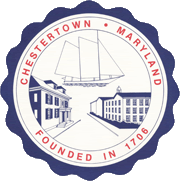 Mayor Cerino stated that the Town of Chestertown was formally invited to meet with the Kent County Commissioners to discuss a tax differential at their budgeting session of Tuesday, April 23rd at 4:00 p.m. He said that he sent a letter to the Kent County Commissioners requesting a tax rebate of $250,000.00 and/or a tax differential equivalent to Chestertown’s tax rate, which was usually about $.05 to the homeowners. Mayor Cerino stated the Commissioners did request that he provide explanation of services and programs provided by the Town, as well as how much the services and programs cost. Mayor Cerino asked that copies of the audit and other pertinent information be provided to him before the meeting. Mr. Stetson stated that he received a thank you from Comptroller Franchot for representing Chestertown when he visited the Bordley Center and Washington College a couple weeks ago. Mr. Stetson stated that on March 14th he attended a presentation by Mayor Cerino before the Community Breakfast Group. He said that there was standing room only. Mr. Stetson stated that at 7:30 p.m. on March 14th he attended the Save the Hospital meeting and said that there were at least 50 people in attendance. 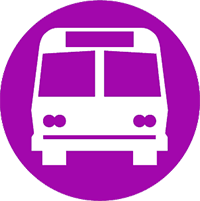 There were busses arranged for Tuesday and Wednesday for anyone wanting to go to Annapolis to support the bills submitted by Senator Hershey. If the bill passes, it will insure that the hospital will be maintained as a full-care hospital. Mr. Stetson stated that he understood that the busses were nearly full. Rev. Tolliver stated that it has been quiet in the Third Ward. However, he was aware of road maintenance issues at the Hilltop Townhouse development off Flatland Road and at Rt. 20 and Rt. 514. He asked if anything could be done to remedy the problems. Mr. Ingersoll stated that both Rt. 514 and Rt. 20 were State roads maintained by the State Highway Administration. Mr. Ingersoll stated that when the SHA overlays the road, the problems can easily be corrected. Rev. Tolliver commended Greenscapes Landcare, LLC. (the company that adopted the round-a-bout at Rt. 20 and Rt. 291) for their recent landscaping efforts. Ms. Kuiper stated that the State Highway Administration has agreed to reduce the speed on Rt. 289 in Town limits to 25 mph thanks to the work and persistence of Washington College and residents of Chester River Landing. Ms. Kuiper stated that Ms. Sabine Harvey (Farmers Market Manager) submitted an MOU from the Maryland Farmers Market Association and the Town of Chestertown Farmers Market that would allow the use of WIC (Women, Infants and Children Food and Nutrition Program), SNAP (Supplemental Nutrition Assistance Program) funding and other programs for seniors where dollars for nutritious food are provided to be utilized at the Farmers Market. The vendors at the Market will have to sign up to be part of the program. She said that this program makes Farmers Markets available to residents of all income levels. Mr. Ingersoll stated that the Mayor should be authorized to sign the MOU on behalf of the Town. Ms. Kuiper moved to authorize the Mayor to sign the MOU between the Maryland Farmers Market Association and Chestertown Farmers Market on behalf of the Town of Chestertown, was seconded by Mr. Foster and carried unanimously. Ms. Kuiper stated that she submitted a letter today, March 18, 2019, to the Mayor and Council, Town Hall and Town Manager stating that she was notified by the Town Manager, on Thursday, March 14th that her son had applied for the position of Marina Manager at the Chestertown Marina. She said that at the time of the conversation she verbally recused herself from the application, interview and hiring process of all applicants for the position of Marina Manager with the Town of Chestertown due to a conflict of interest. She said that she has contacted and received a response regarding the content of this notice from the Ethics Commission for the Town of Chestertown. She asked that the statement she was presenting this evening recuse her from the application, interview and hiring process of all applicants for the position of Marina Manager and requested that the Town of Chestertown exclude her from all verbal, written and electronic communications regarding the application, interview and hiring process for the position of the Marina Manager. Ms. Kuiper stated that in the case her son would withdraw his application for employment as the Marina Manager she would request to join the interviewing and hiring process. Mr. Foster stated that he wanted to second Mr. Stetson’s earlier comments with regard to the Community Breakfast Group and Save the Hospital meeting. He said that a number of Heron Point residents were attending the Maryland Senate hearings to Save the Hospital. Mr. Foster stated that he attended a meeting in Greensboro on Opportunity Zones and said that it was a good presentation and was well attended by other representatives from Chestertown. Mr. Kurt Landgraf, president of Washington College stated that he wanted to congratulate Mayor Cerino as the recipient of Washington College’s President Leadership Award for Service in the Community. Mr. Landgraf stated that he wanted to thank Chief Baker in advance for his support of several simultaneous events that will take place on April 13th where between 3,000 and 4,000 people would be on campus for admitted student’s day, the lacrosse War on the Shore, a baseball double header, and five alumni games. He said that without the assistance of Chief Baker and the Police Department the events would not be possible. Mr. Landgraf stated that the Council was informed at the last meeting that there were six (6) College properties for sale and he said that agreements of sale have now been entered into for three (3) of those six properties. There being no further business and no other questions or comments from the audience, Mr. Stetson moved to adjourn the meeting at 8:10 p.m., was seconded by Rev. Tolliver and carried unanimously.